You want to discover scuba diving and get started in the adventure by discovering for the first time what happens under water without having to regain the surface quickly. With such motivation we can only encourage you to perform a discovery scuba diving experience. Maybe even then you will pass your first diver certification. What is good to know is that your first discovery immersion that discovery scuba diving can be taken into account if you subsequently decide to carry out a training. Before this, we will tell you how this initiation will happen. You will therefore breathe under water ; this fantastic experience Will be carried out using a autonomous scuba. This material is simply composed by a bottle compressed air with a system designed to breathe with, called regulator. Simply breathe with your mouth, do not block your breathing. The apnea is a superb discipline that you can discover again. Using your mask You can observe what is happening and your fins Will help you move around. An inflatable system called buoyancy control device (jacket) That your accompanying person will manage for you and here is nothing more is necessary. The only thing to be careful is to go down gently and blow regularly by pinching your nose and keeping your mouth closed to balance your ears. Under strict supervision, you will be in total security and you will just have to be guided by the magic of places. When you go out you should have stars in your eyes and a smile that rises to your ears. Scuba diving is like a drug, you just have to taste it to get hooked and you just realize it’s too late. Welcome to the large family of underwater divers. 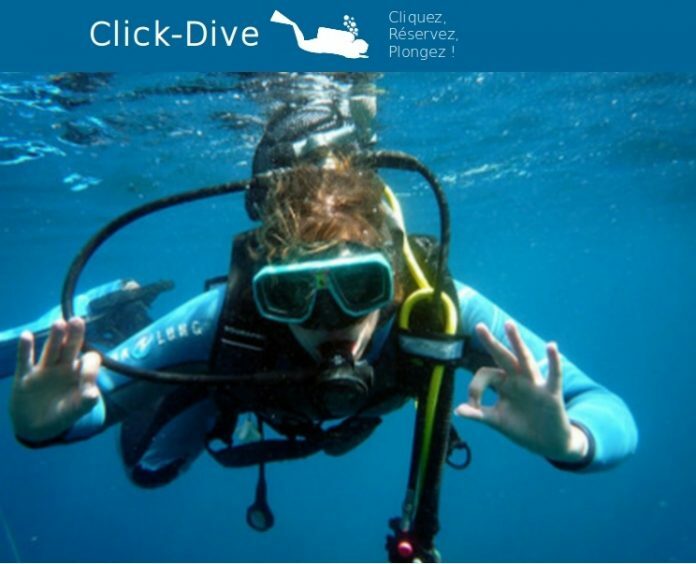 The Click-Dive team, dedicated booking site in diving, wish you nice dives.